Brand: Nielsen-Massey Vanillas, Inc. NMV-21008 Units: 8 oz. bottle The world’s finest and most consistent vanilla comes from Madagascar. 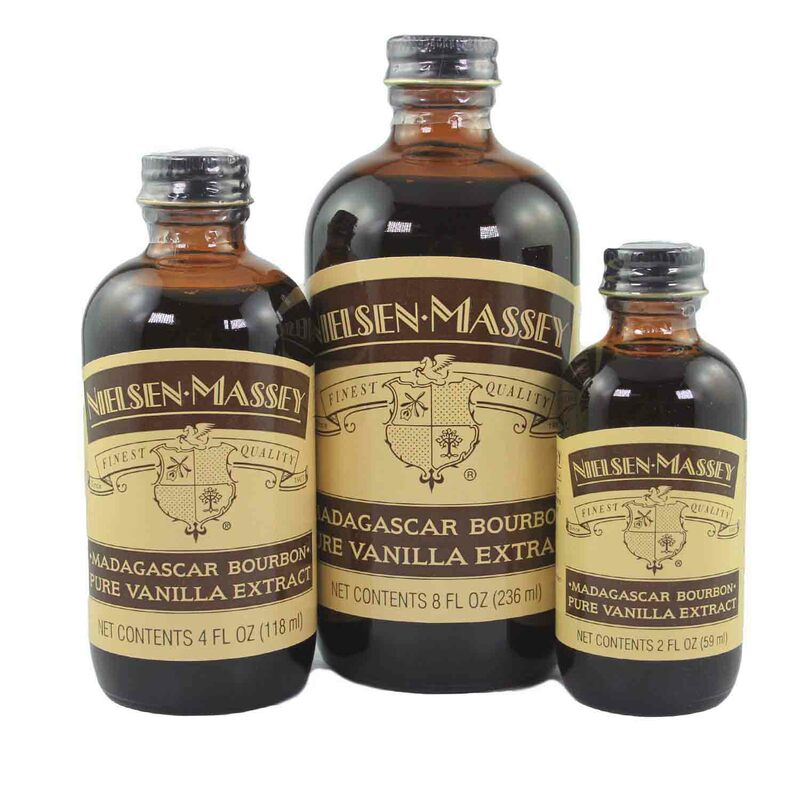 Madagascar Bourbon Pure Vanilla from Nielsen-Massey has a creamy, sweet, velvety flavor that is perfectly suited for a range of products from baked goods to ice creams, salad dressings to barbeque sauces. Madagascar Bourbon vanilla does not have anything to do with the American whiskey of the same name, but is rather named for the Bourbon Islands off the coast of Africa. Madagascar supplies more than 60% of the world’s vanilla. Ingredients: Water, Alcohol (35%), Sugar, Vanilla Bean Extracts.